Novel writing software programs are a great resource for helping you turn your initial story ideas into a well-written, compelling novel. The biggest advantage of the three I review below is that they will help you discover where you want to go with your novel and who your characters are so that when you sit down to write the whole process is much easier and more effective. 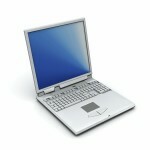 Each of these programs offer you a variety of different tools and advantages. The main difference between these three software programs is how they approach the process of structuring your novel before you write it; I’ll go into that below. The key is to find what works best for you. Each of these programs has a money-back guarantee so you can safely try them out and return them if they don’t suit you. Although ultimately it’s you that will discover what works for you, I’ll help by showing you the strengths of each software option below and you can take it from there. BEST FOR: The writer who is looking for a program to help them quickly and specifically develop their novel ideas into a compelling and marketable page-turner using the structure common to most of today’s bestsellers. Numerous writers have used this program to write a variety of popular published novels. One of the strengths of this software is that it provides specific step-by-step guidance about how best to write a novel in a specific genre, i.e. romance, mystery, western, etc. It guides you through structuring your novel using the suspense-building tactic of strategically revealing your story from multiple points of view. Mr. Marshall developed this program at the request of readers so they would have an easy way to apply the suggested techniques from his best-selling Marshall Plan for Novel Writing book series. You’ll learn all about his effective approach to novel writing as you go through each step of the program. BEST FOR: The writer who wants to develop a multi-faceted, well-structured literary novel in which all the elements contribute to an overarching theme. Many published novelists as well as Hollywood screenwriters rely on Dramatica Pro to help them craft their stories with rich and varied layers of detail and meaning. The program guides you through hundreds of questions about character, plot, and theme which help you shape your writing into a richly detailed novel. It takes some time to fully understand the unique perspective and techniques that are the foundation of the Dramatica Pro method of writing. However, as you go through the process of using this software to develop your novel ideas, it has the added benefit of giving you an in-depth education about how to apply literary theory to your writing. When you’re done with the process, you may feel as if you’ve received an MFA-level creative writing degree. Plus, you’ll have a firm grasp of your story which will make the writing of your novel flow easily from your outline. It is the most expensive option and has a fairly steep learning curve, but many users feel the improvement in the quality of their writing makes this program absolutely worth it. UPDATE: There have been a number of changes to this program and the management of it recently which make me question the current quality of this program. I’m in the process of updating my review here so please come back and see that soon. Thanks! Whichever program you choose, it will help you to write your novel with the enthusiasm and peace of mind that come from having an inspiring, overarching vision of where you are headed. Best of luck to you and have fun writing! 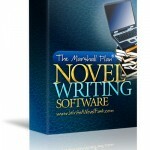 I’ve never heard of Marshall Plan Novel Writing Software and will definitely be checking it out. I’ve used Newnovelist 2.0 and do like it’s interface and ideas. I must say I wasn’t impressed with their customer service and haven’t really pursued upgrade to version 3. I’ve heard of Dramatica Pro 4 but haven’t used it. The price certainly drives me away. Your reviews are great and I look forward to more great programs for novelists out there.